CVault invented the world’s smartest storage container; No thinking required. The humidity controlled storage system for herbs that’s changing everything! 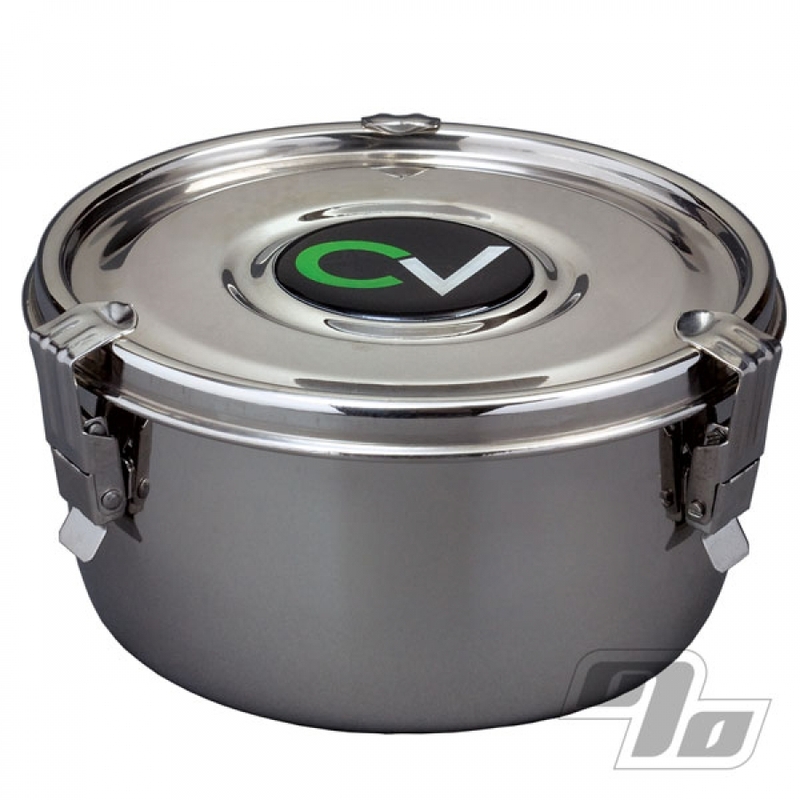 The CVault is an airtight, lightproof, humidity controlled stainless steel stash container that works perfectly with the included 62% Humidipak®. Locking clasps are easy to open when you want and keep your herbal product airtight when stored. silicone gasket and a perfectly sized holder for the two way humidity system from Humidipak. All this adds up to maintenance free results you are going to love. 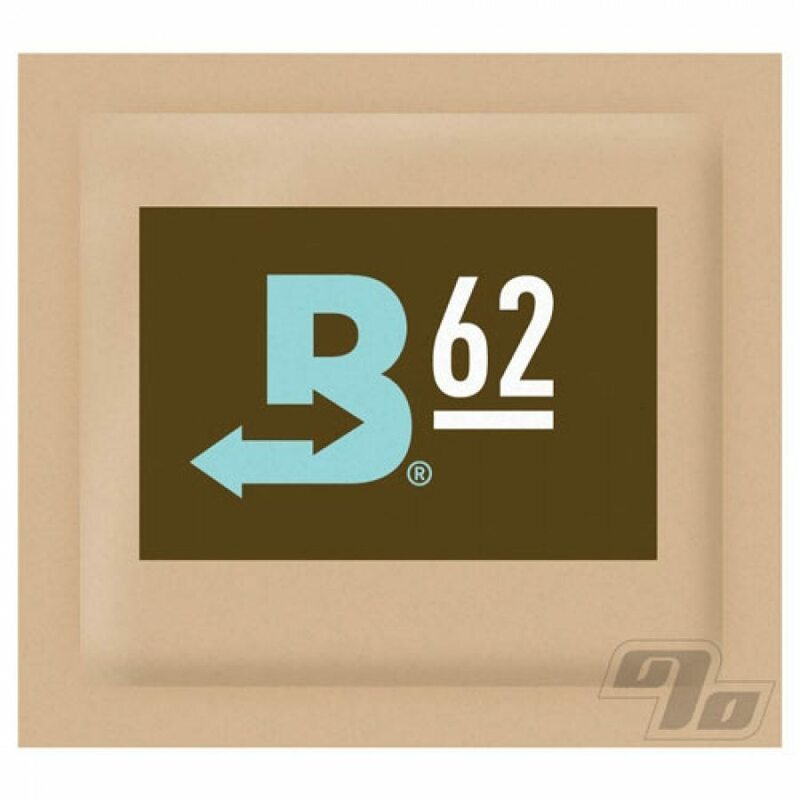 Included with every CVault storage container is a Humidipak tuned to 62% humidity. A patented 2-way humidity control technology, the Humidipak eliminates the humidity spikes and even the slightest fluctuations in humidity, preventing your herbs from losing any oils, character or flavor. The components of the Humidipak are natural elements: salt and pure water. There are no chemicals used within and all ingredients are food grade approved. The Humidipak only allows pure water vapor in and out. 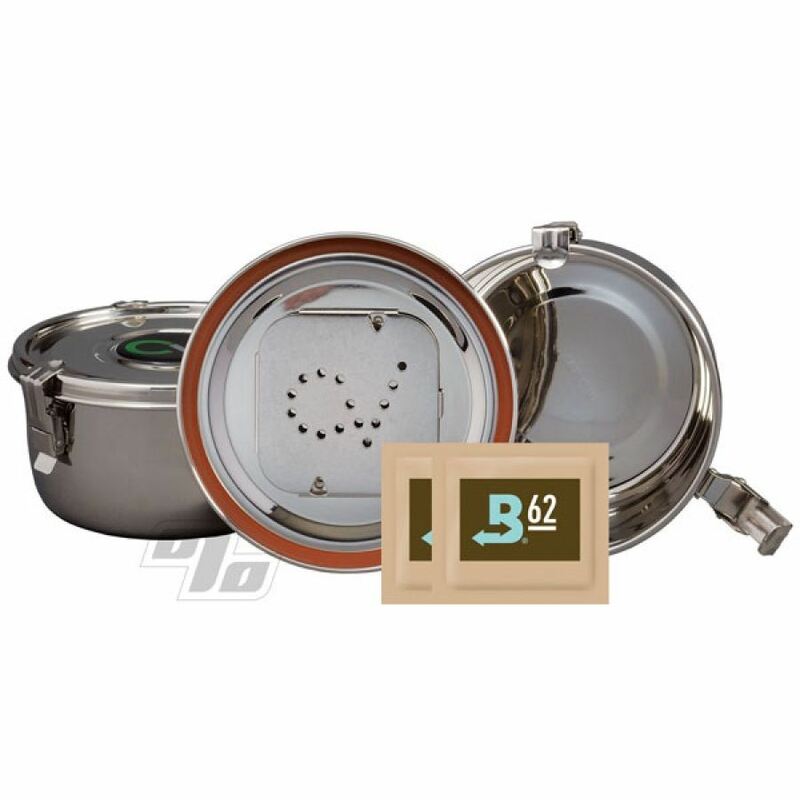 Ready To Go : Each large CVault comes with two (2) each 8 gram 62% Boveda®, place your product into the CVault and lock in freshness. The CVault is constructed of 18/10 food grade stainless steel; it is an airtight container that is impenetrable by light. Lightweight and durable; this is "the ultimate storage solution container". 1/4 inch wide silicone seal to ensure an airtight seal. Pak holder specifically designed to hold your Boveda 62% humidifier. Latch Design: Engineered to provide an airtight seal; locking in product freshness. Love the Cvaults, every size. These 3 sizes having clamps and a space in lid for humidity boost makes this the ideal storage container ..... no smell! Keeps tobacco fresh, holds over an ounce. No complaints here. This is my 2nd purchase of the cvault, I was so satisfied with the 1st one that I ordered a 2nd one, both are fantastic products, I would recommend CV Storage to anyone. I purchased both the large and medium sizes. I am very happy with both. Extremely air tight. No smell and very inconspicuous! These are one fine storage container, well built.